During the past 75 years, Jeep has developed into an iconic brand in the United States. Jeep’s vehicles represent quality, style and durability. The 2018 Jeep Renegade is an SUV that represents this brand well. From its smart technology features to its enhanced performance capabilities, the 2018 Jeep Renegade near Longmont provides an exceptional value for car buyers. Whether you are in the market for a second vehicle or a replacement vehicle to transport you through daily adventures, the 2018 Jeep Renegade at Pollard Jeep is ready to take you on any journey. This popular sub-compact vehicle has several trim levels including Sport, Latitude, Altitude, Trailhawk and Limited. If you like bold, fun colors, you will be excited by this Jeep’s color selections. These colors include Solar Yellow, Colorado Red (What a perfect fit for proud Colorado residents! ), Anvil and Omaha Orange. You can find out about additional colors by contacting our dealership serving Longmont Colorado. Would you like to see what else the 2018 Jeep Renegade near Longmont has in store for you? 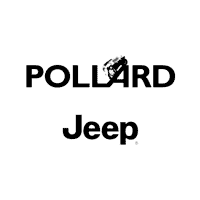 Contact Pollard Jeep to take one (or all) of the trim levels for a road test. For over 45 years, our dealership has been serving Longmont Colorado customers. It’s easy to learn more about the 2018 Renegade trim models. Just give us a call. Have you landed on our website after business hours? Simply send an inquiry by email. A representative from our dealership will reply to you promptly. The Sport model is the Renegade’s entry level vehicle. This economical Jeep model has amenities that surpass other vehicles in its class. The exterior of the Sport features black door handles, incandescent tail lamps and lower body side cladding. Inside the Sport model, you can expect to find rear seat head restraints, a 12-volt auxiliary power outlet and cargo tie down loops. Security and safety features in the Sport model include tire pressure monitoring display, side-curtain front/rear airbags and panic brake assist. Optional features include air conditioning, temporary use spare tire (full size) and Uconnect 4 with 7-inch display. Contact us to learn more about the Sport model. The Latitude model is the Renegade’s next level vehicle. The Latitude’s exterior features body color exterior mirrors, monotone paint and 4 doors. Inside the Latitude model, you can expect to find 6 speakers, Apple CarPlay compatibility and integrated voice command with Bluetooth. Security and safety features in the Latitude model include dual note horns, electric parking brakes and electronic roll mitigation. Optional features include all season touring tires, 18-inch aluminum wheels and HD radio. Contact us to learn more about the Latitude model. The Altitude model provides additional amenities for you to enjoy. The Altitude’s exterior features all season tires, a tire service kit and 4 cornering front fog lamps. Inside the Altitude model, you can expect to find Google Android Audio, Apple CarPlay compatibility and Sirius XM radio compatibility. Security and safety features in the Altitude model include a rear back up camera, speed control and speed sensitive power locks. Optional features include retractable and removable panels, Uconnect 8.4 NAV group and HD Radio. Contact us to learn more about the Altitude model. The Limited model provides additional amenities for you to enjoy. The Limited’s exterior features upgraded exterior mirror color, a removable short mast antenna and a bright exhaust tip. Inside the Limited model, you can expect to find Google Android Audio, Apple CarPlay compatibility and integrated voice command with Bluetooth. Security and safety features in the Limited model include a driver inflatable knee-bolster airbag, electric power steering and electric park brakes. Optional features include 18-inch aluminum polished wheels, body-color roof and blind spot and cross path protection. Contact us to learn more about the Limited model. Our dealership is unique because we are a Jeep only dealership serving Longmont Colorado. In fact, there’s only one other dealership like ours in the entire United States. As a result of this specialization, our teams know everything there is to know about the Jeep brand. We invite you to come to our dealership to benefit from our knowledge of the Jeep Renegade’s trim levels and experience our exceptional customer service. Our lot is stocked with at least 200 Jeep vehicles (new and used). We have the 2018 Jeep Renegade near Longmont in a color and trim that will surely suit you. Thinking of buying a new Jeep? That’s great news! Come to our dealership and allow us to serve you. If you prefer to contact us via email, that’s perfectly fine with us. We like emails because they provide us with the opportunity to connect with customers like you. Hope to see you soon! *The contents of this article are intended to be for informational purposes. 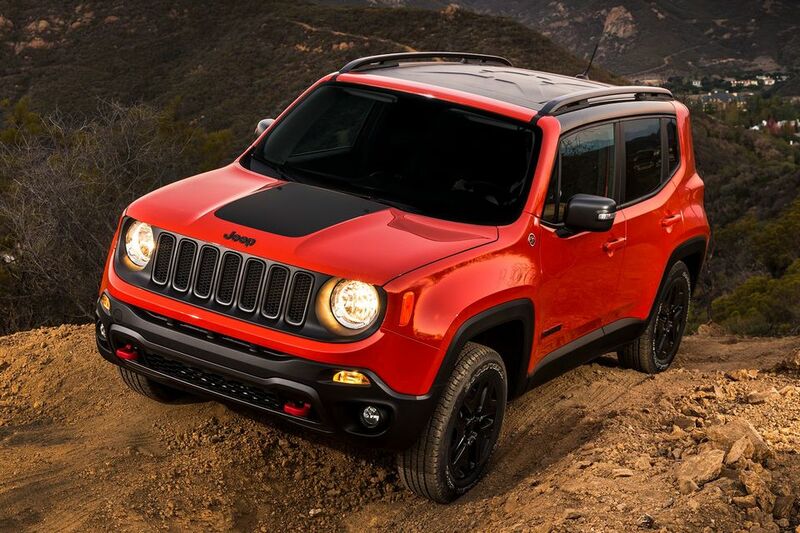 For up-to-date information about each trim level of the 2018 Jeep Renegade, contact our dealership.